The next day, I ran out of smokes and it took me an hour to find one. And Mcdo ran out of coffee. Took me another hour to find decent coffee. And I guess I was really having a really bad case of a bad day. 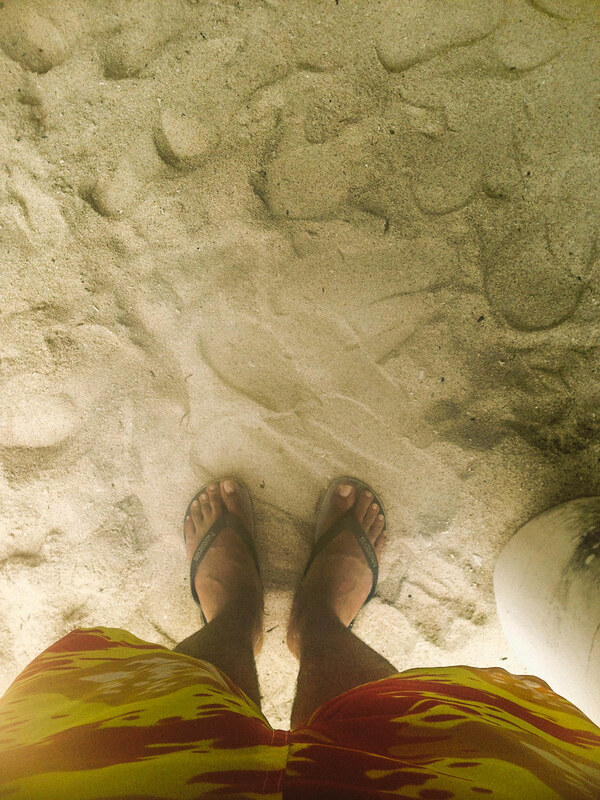 On my last day in Palawan. Told ya misadventures all throughout the trip. Hmmmmm when to be back? 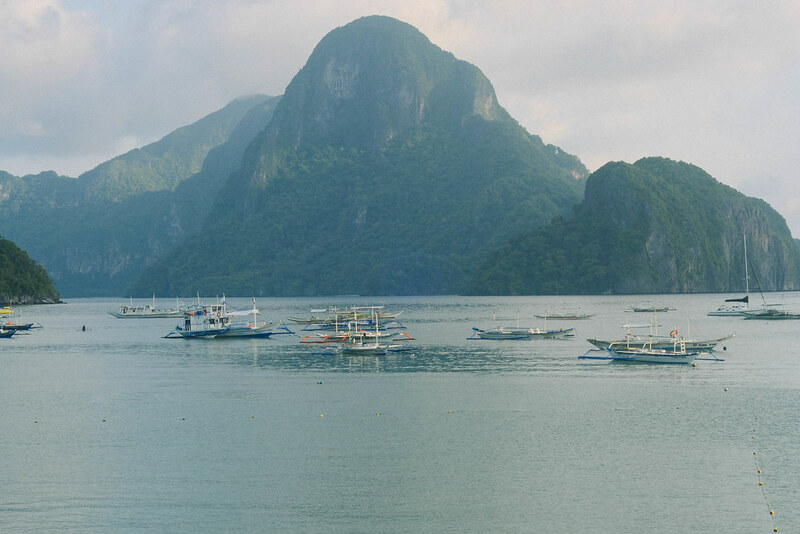 More El Nido? Here are Days 1, 2, and 3! I have less than a day to stay in El Nido so I wanted to make the most out of my stay. It was still rainy (not seen in pictures because, if you can remember, I broke my camera and phone on Day 1) but still what I can say about the rain in El Nido — it does not lessen the beauty the little town has. People are still out and about. I’m even surprised Art Cafe was almost full! 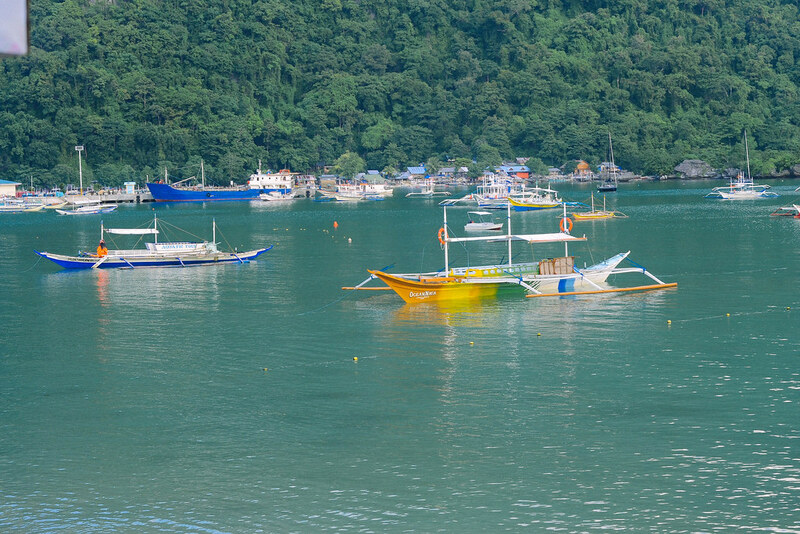 Yes, without the island hopping and other fun activities you can do in the islands, El Nido is pretty much boring. B U U U U U U T , I’ve come to appreciate the quiet in the town. 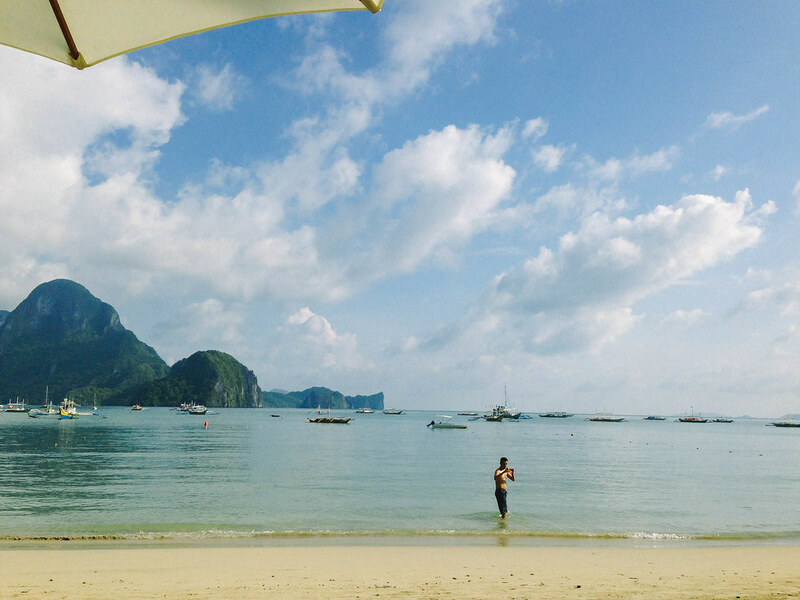 In the mornings you can just walk along the beach, grab breakfast, stare at the beautiful, beautiful limestone cliffs. If you have a book, you may just sit anywhere and read. 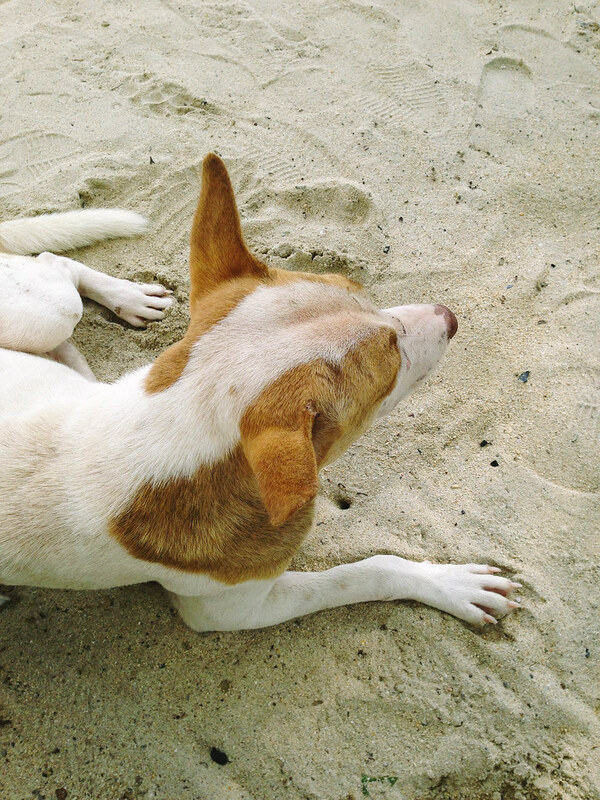 This dog (below) accompanied me while I ate breakfast at a nearby beachfront resort which I heard is a good choice to stay at, too. The day passed by really really slow and I really appreciated the town even more. 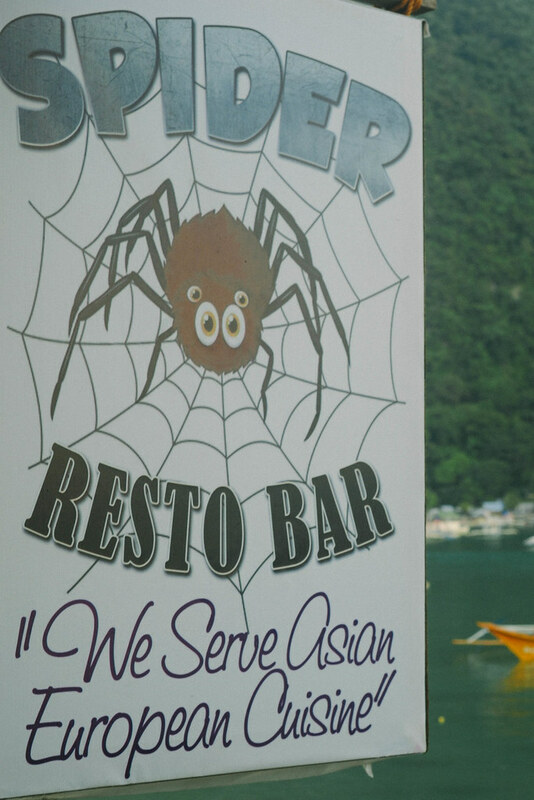 If maybe I stayed a bit longer in the town, I would’ve hanged out more in Spider, where I stayed at there. The people managing the place were nice, and I’ve really had good conversations with them. 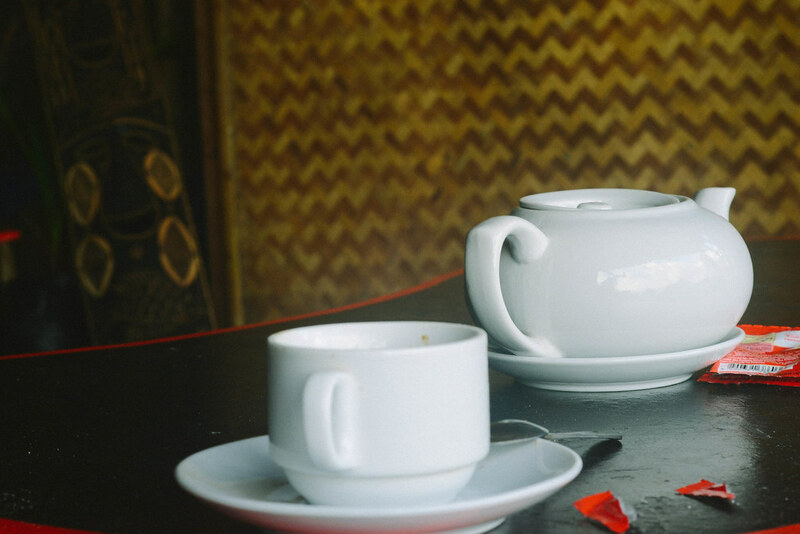 I’m known to be really picky with my coffee but instant coffee can’t do this town any bad. It makes everything right, even. Or yes maybe, get my second tattoo. I still haven’t decided yet what to get. 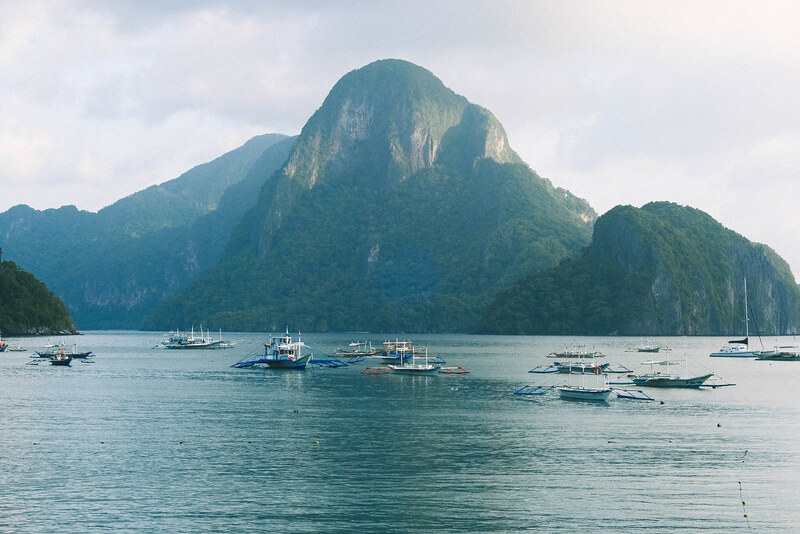 One day… and I hope it’ll be while facing the majestic limestones of El Nido. It’s such a shame, that I only got to spend only a short amount of time (with little amount of photos, too!) I wish I’ll be back soon. Maybe alone again, even for the second time around. 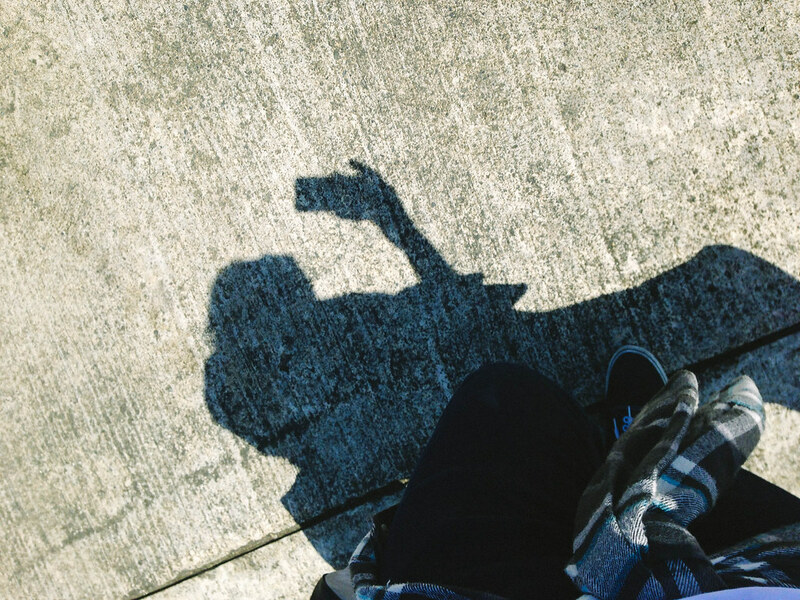 I’d really like to meet more people, and get to know more locals – and yes hang out with myself some more. After this, I haven’t been more comfortable being left alone with myself than I used to. If there’s something the cliffs, the clear waters, and the misadventures taught me – it’s the pot of gold at the end of the rainbow. 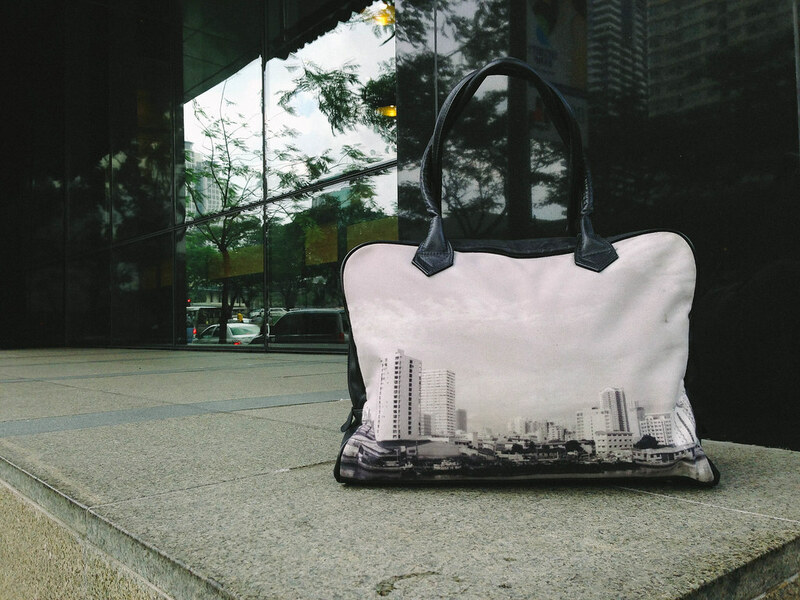 I am thrilled to go on a trip alone, but I never thought I don’t necessarily need to be lonely. As I said, the weather wasn’t any better. Luckily, I brought with me an umbrella to at least walk to Art Cafe – a massive institution in El Nido. They really had nice breakfast sets, and I also learned that they grow their own crops. How cool is that? They also sell postcards, so it was kind of a one-stop shop for me. After my quick postcard-shopping, I sat down and smoked when this equally bored Dutch woman named Milou and I started having a conversation. I think it started with – how I really looked like her Indonesian father when he was young. This isn’t the first time I was mistaken for an Indonesian and wow even in my own country, eh? Then, I think a couple of hours later we were talking about her hometown, her friends back there, and a lot of things, really. I didn’t even thought I’d still meet anyone here anymore. I did quite a hike after mailing the postcards in the Post Office. I reached a place called Hilltop and it was literally a restaurant on top of a hill! Since it was raining though, there weren’t much people. Luckily, Laurice and Leobi was this couple who were on a pitstop before they head to the falls in the town’s outskirts. Leobi lives in Paris (!!!!!!!) and was on her yearly vacation here in the Philippines. Laurice on the other hand is this girl who hails from Batanes (another !!!!!!!!!). I really had fun listening to their stories! 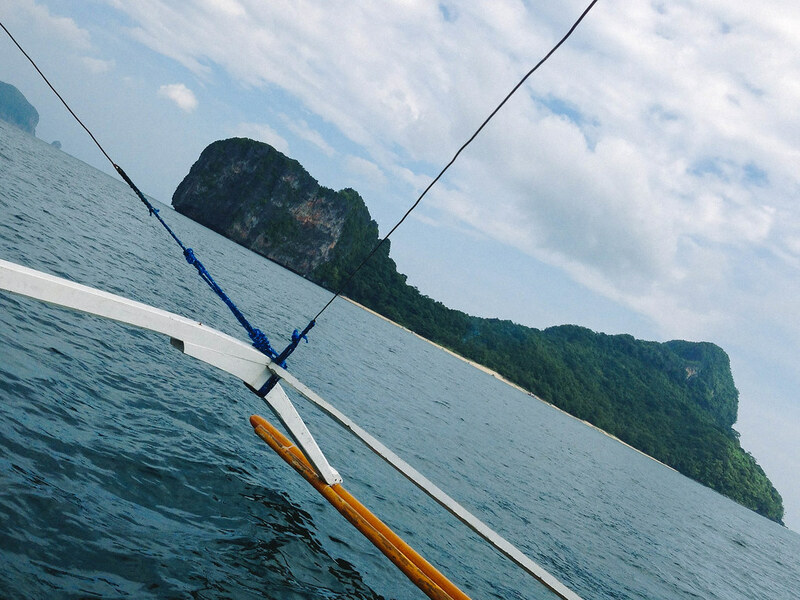 My solo adventure continues after a day of fun and misadventures in the little town of El Nido, Palawan. The good weather the day before was nowhere in sight. Instead, I was woken up by a storm-ish wind and rain combo that literally drew all the waves (and everything with it) to the shore. I was convinced that my plans for the day will be canned so I just took it easy and drank my coffee. I brought out my reads because the rain was stopping to bother me and decided that it is indeed a day to chill when the tour guide went up my hostel and asked me if I’m joining the tour group. 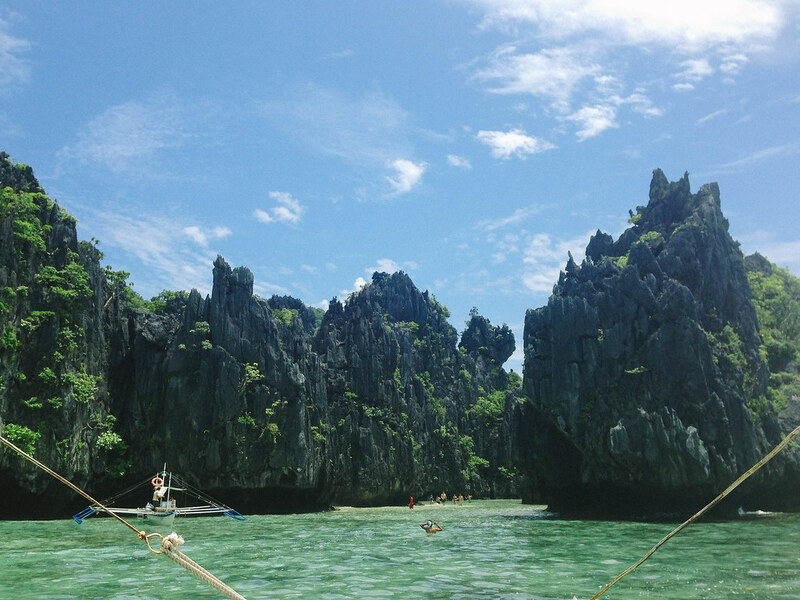 The highlight of any El Nido trip I think will be the lagoons. Beautiful natural waterworks enclosed in limestone cliffs in an ecology weathered by time and tempest. But I am deeply sorry as I have no photos to show you as my misadventure the day before rendered me camera-less for the days to come. Nevertheless, I’ll try to describe them in the best I can. The real highlight was the lagoons – both small and big. Though a word of caution — the depths in the small lagoon are treacherous. I know how to swim but I was really surprised when it was all of a sudden deep, I almost drowned 🙁 But the sights were endlessly romantic. The small lagoon looked like a secret cove for lovers – you have to swim through a hole, formed between converging limestone formations. As always, the view is stunning and it sticks to your head. When I close my eyes I can still see those beauties. The big lagoon is a massive waterway with a funnel in the middle, which I heard is a habitat for vegetarian sharks (interesting!) but I didn’t bother to swim through. Scaaaaared! The misadventures didn’t really stop on Day 1, so here’s a log of my happy (though I can do away with, really) misadventures. I tell you, they were YOLO material. So the day really started with a really, really bad weather and I wasn’t expecting to tour. But my YOLO self just wanted to make the most out of my time even though it just literally stormed. My logic was down and I joined the tour group even though it seems a bad plan. We were in the small lagoon when it started getting REALLY gloomy. 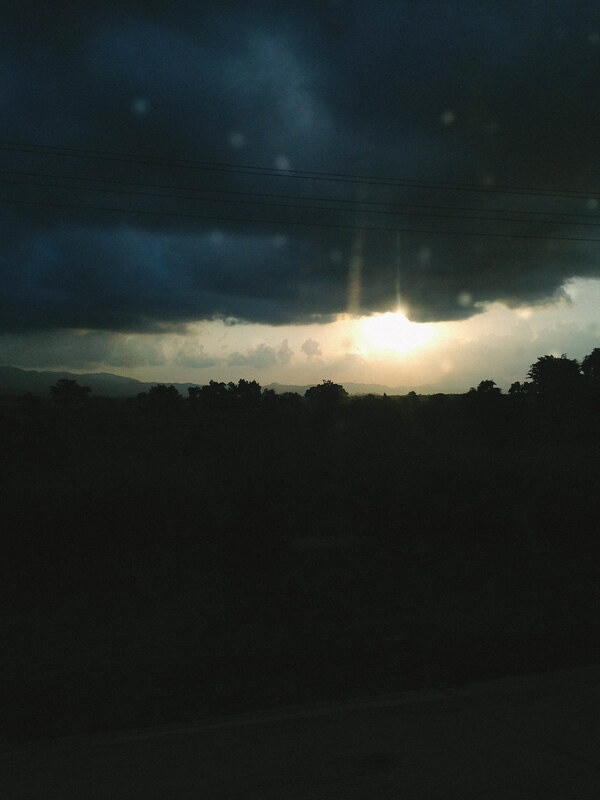 Like it looked (and sounded) like the heavens were angry for anyone pushing through the tour. Midway swimming back to the boat it was zero visibility. In the middle of the ocean. I was really like, “Aww, the weather’s gonna get better,” but that was me trying to console myself for my bad decision. We stayed for a while when the winds had gotten stronger and rain even blocking our views. The limestone mountains could no longer be seen and we were literally stuck in the ocean’s belly. All the time we were in the boat it was really cold, and I have my towel only with me. There came a point that I want to regret everything but hey, those views really saved me the whole trip. 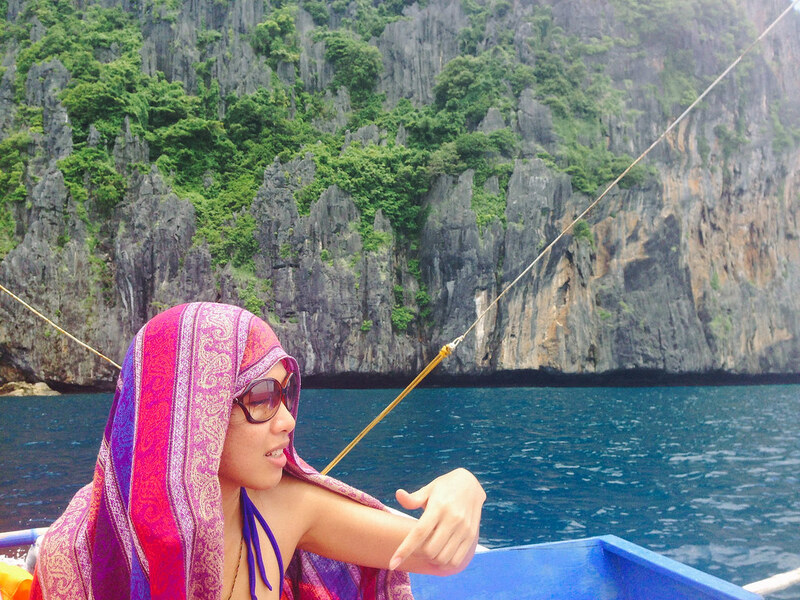 There is a reason why I am in El Nido and YOLO-ing. I met three girls who work at the same area in Manila that I do — Anjo, Roma, and Heidi — and like the day before they agreed on having dinner together! It was nice that I met and hanged out with some Filipinos as well (though I really didn’t expect anybody from my home country to be just spontaneous like that.) They even invited me over the place they’re renting… such nice people! Some of the people in the tour group the day before were still in this group… I just didn’t get to hang with them a lot, since y’know we’re really busy keeping warm. 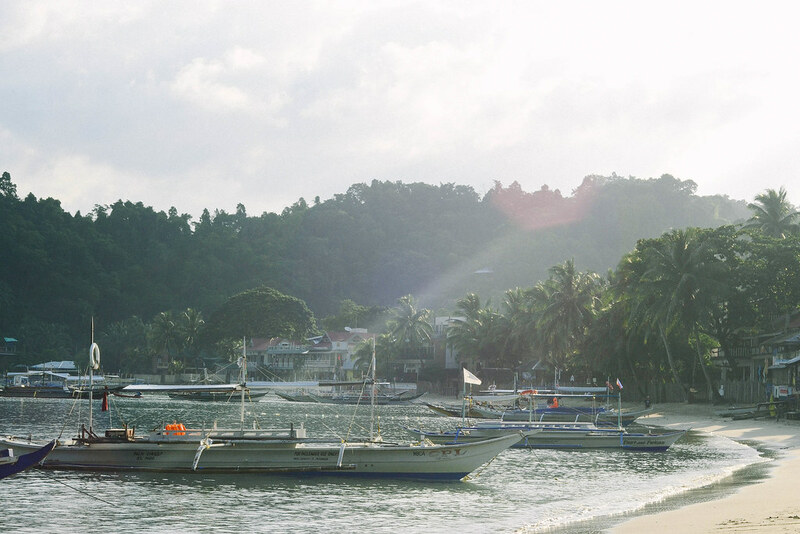 When I arrived at El Nido, it was already dark. I just came from a six-hour bumpy road trip and I was damn tired. So I just kind of surveyed the area, had a couple of beers and went to sleep. I needed to wake up early anyway for the tour tomorrow. And this view woke me up! It was intensely calming and exciting to see in the morning. 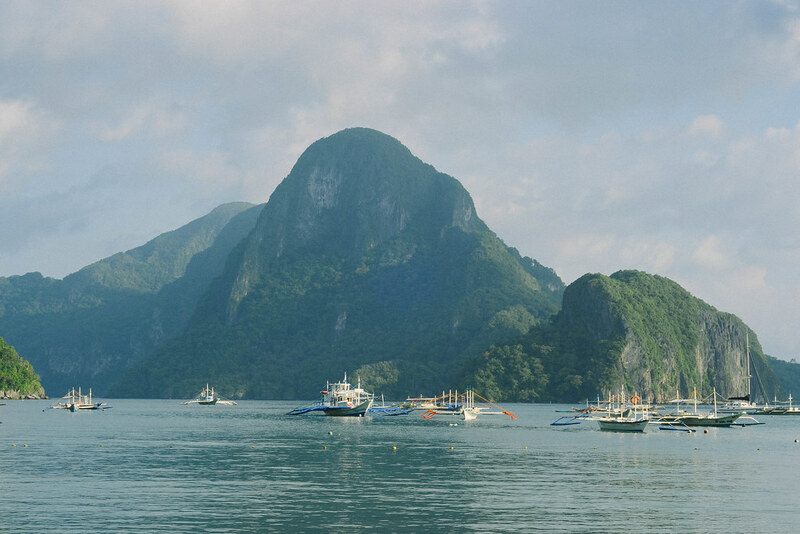 The sound of the waves with the limestone cliffs and the happy clouds as its backdrop. Everything was perfect. Even if there’s no electricity in the town, everything just seemed to be running so slow, unlike in the fast, racy city that I am so used to. So I walked around again to find where I can eat breakfast. I also told the people in my hostel that I’ll be back quickly for the tour. People are nice everywhere here (at least that’s what I observed.) They even offered to text me when the boat’s near already. I was having a very slow and calm yet energizing morning. This dog kept me company while I eat. 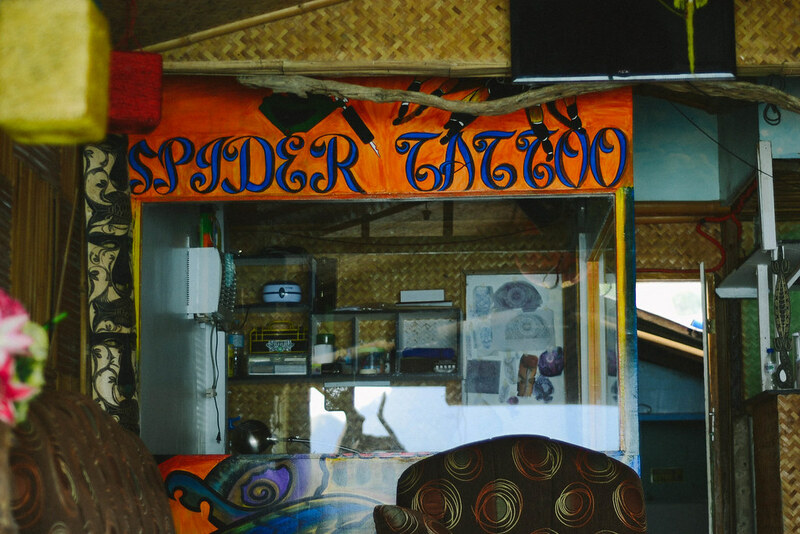 Spider Hostel is also a bar at night and a tattoo parlour. This is where I stayed mostly. 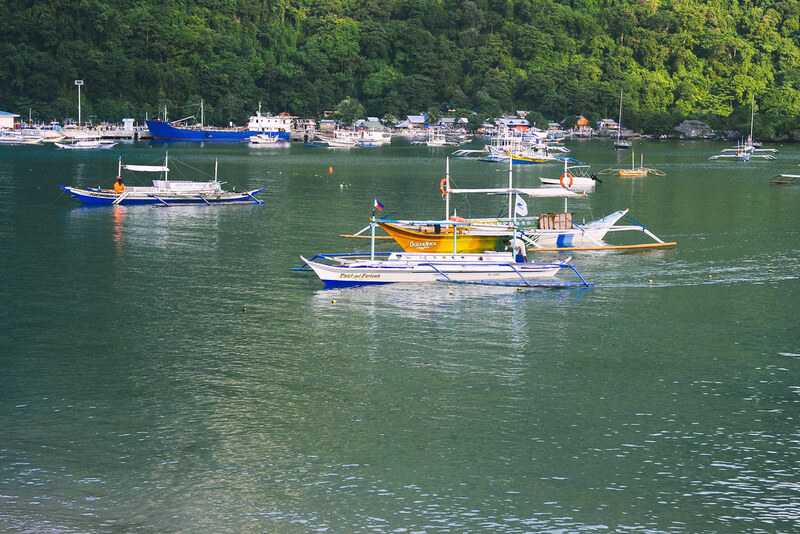 Around 9am, Ate Daday (the motherly tour operator) called me out because the boat was about to leave. She gave me my waterproof bag and snorkel set, and we’re off to see the islands and beaches. That day, we were about to take Tour C.
This is called Helicopter Island. Notice the shape? 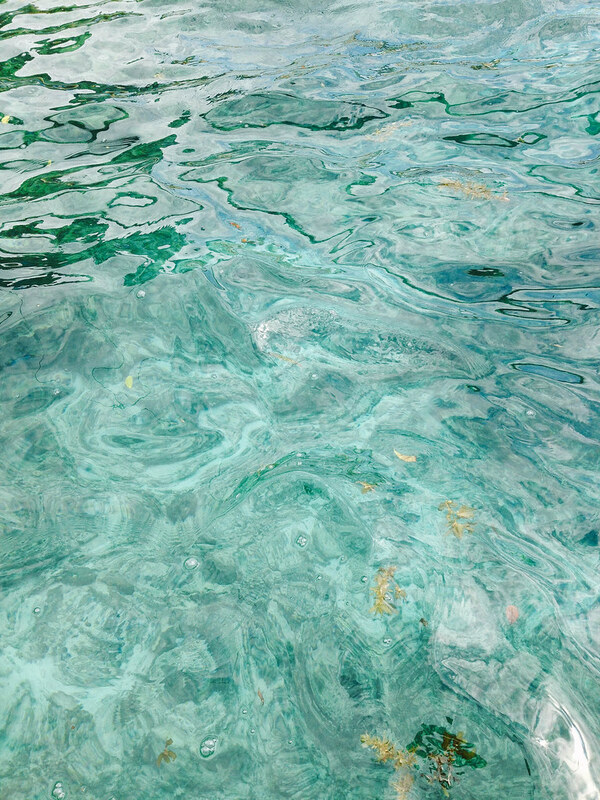 Everywhere we go, the water was just so clear and pristine. 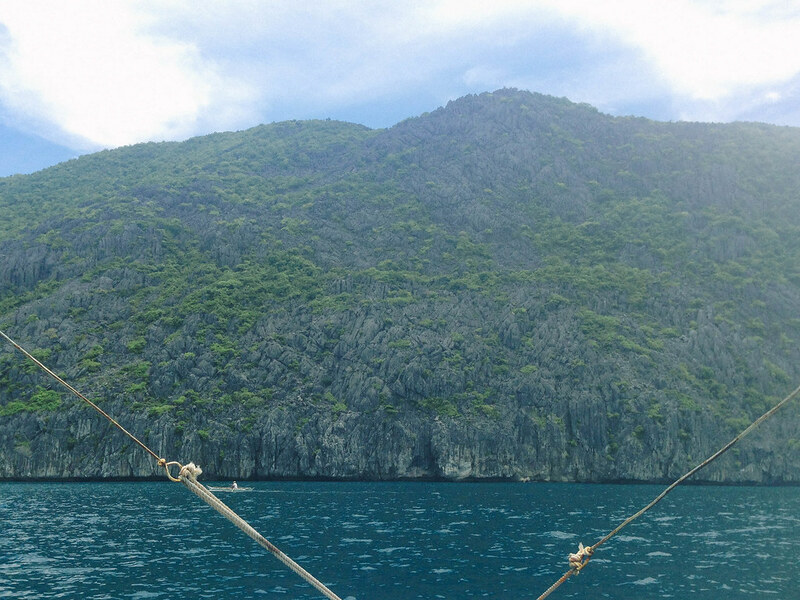 Plus the limestone cliffs were a tireless backdrop to the sea. They frame the islands so well! I didn’t get her name, but she’s also traveling solo. And she had a bad tummy while sailing. We weren’t able to go to Secret Beach though because of the weather. 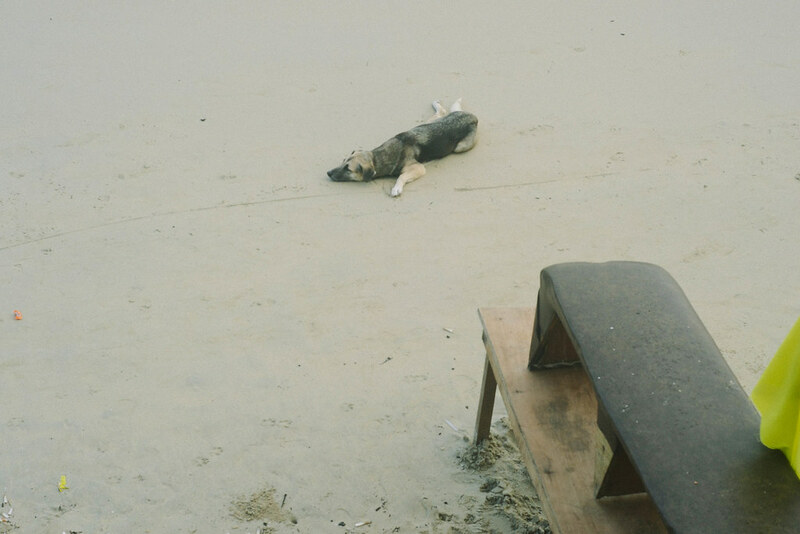 It was post-Typhoon Glenda and Henry was just around so the coastal guards didn’t allow the trips. I heard though that Secret Beach really looks amazing. Well, they all look amazing! 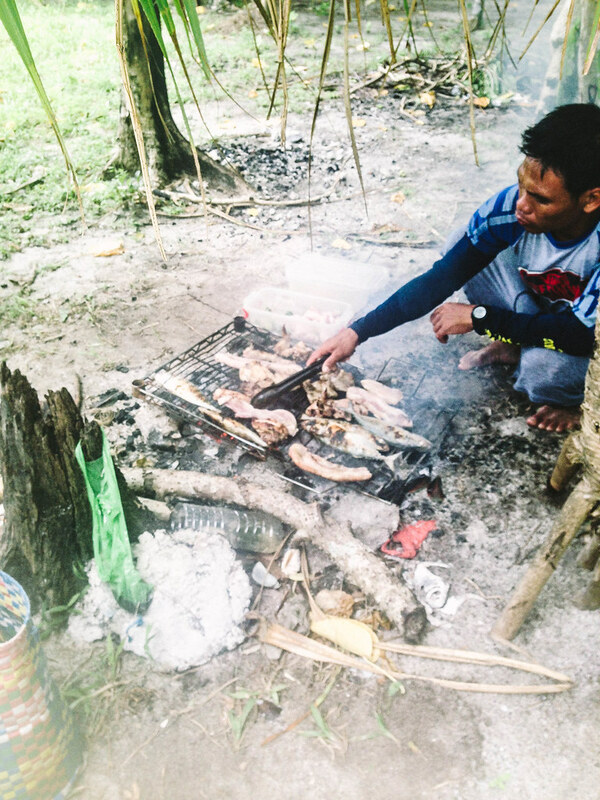 We set base at Tapuitan Island to cook and eat lunch. The guys who were driving the boat cooked lunch for us — grilled meat and fish, pickled vegetables, and rice. All on a grill set in the beach. How awesome is that? My slew of misadventures started as early as Day 1 in the town. I swear, I wasn’t ready for any of what will follow for the next four days. I tell you: until I step out to get back to the airport something was always abound to happen. Kind of frightening, kind of bumming, but ultimately exciting! These are the stories I take with me. So the day started really fine… no rain at all! But then a few minutes into the sea, the boat smelled of oil and to our horror the engine was ablaze in front of us. In the middle of the sea. I still haven’t worn my life vest yet. 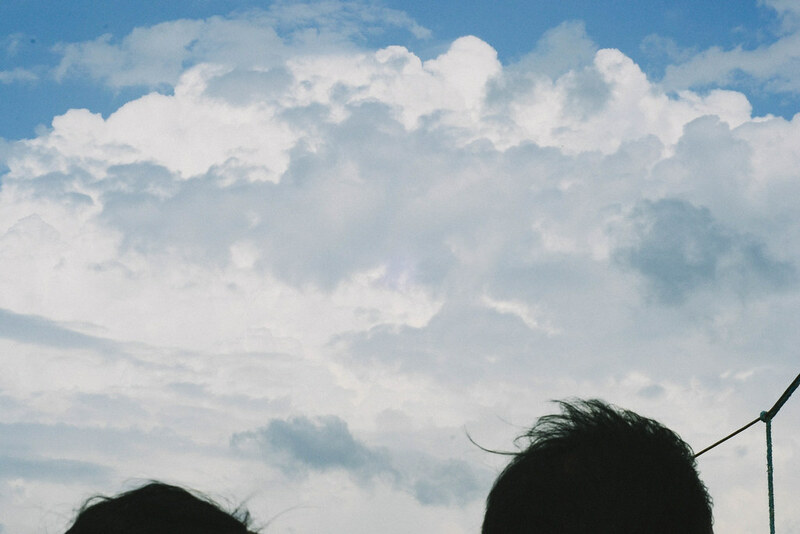 And we were in standstill in the middle of the ocean, dumbfounded… and laughing. We can’t stop laughing at everyone’s reaction — everybody’s face was white with fear and mouth agape the next split second. And we finally got to a new boat. We needed to transfer boats to continue the tour so I got my things in waterproof bag and dragged them out in the sea to the other boat. It’s such a smart idea, I tell you. My camera was busted. It was blacked out and I can see the water seeping from inside the screen. I have never had Chace the camera wet ever. JEEZ. Luckily, my phone survived the onslaught with seawater. For a few hours, that is. The power button was acting funny already, but the screen was still intact. Then it died. Just like that. It died on me. So I had no camera to take photos with, and no phone to contact family and friends if ever. That’s just Day 1. There are more in the coming days! Having beer and dinner with tourmates! Thanks to Karina for the photo. Katie and Monica are American and Canadian teachers from Hong Kong who was on a holiday here in the Philippines. They have really nice stories about Hong Kong and about their jobs as teachers in the megacity. I have such a bad memory but the boat had a mix of different nationalities. I think the accident earlier the trip (boat on fire) really bonded us even for a short time. We were just always talking and joking around, telling stories about home and other stuff! I love hearing their stories. Morten (pictured above) and Karina perhaps were the closest to me. 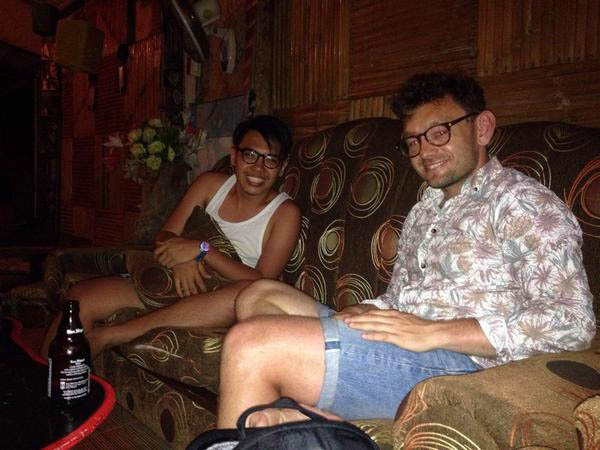 The two Danish journalists went around Southeast Asia and were on their last leg of the trip. 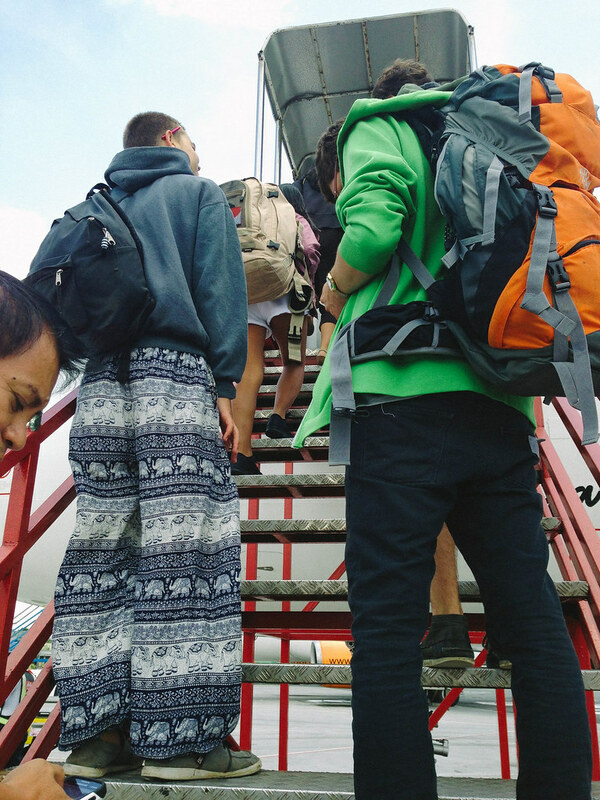 They’re very wide-eyed about the Filipino culture and were just so eager to learn more. After the tour, we agreed to get dinner together and we ended up hanging out for almost five hours! I learned a lot about Denmark and I hope they learned a lot about the Philippines from me. I really do hope I cross paths again with them nice people with really nice stories to tell. 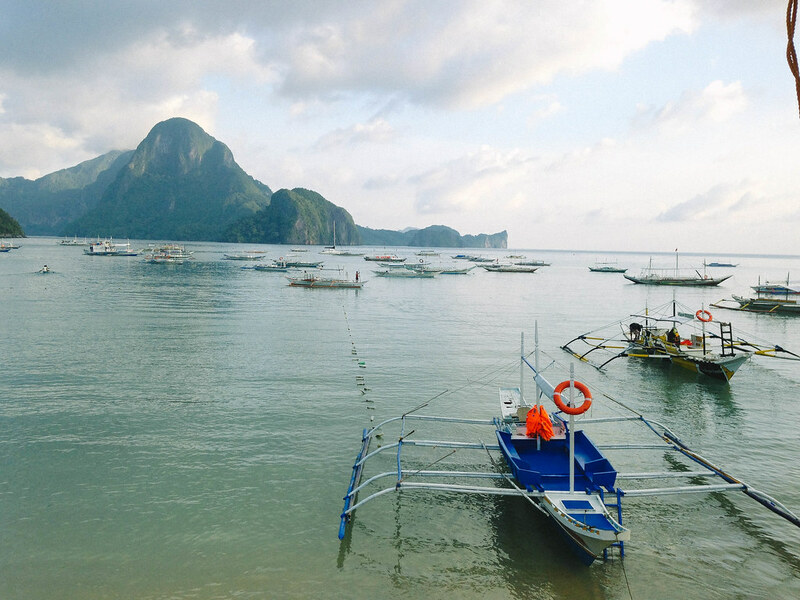 See also: How to get to El Nido? 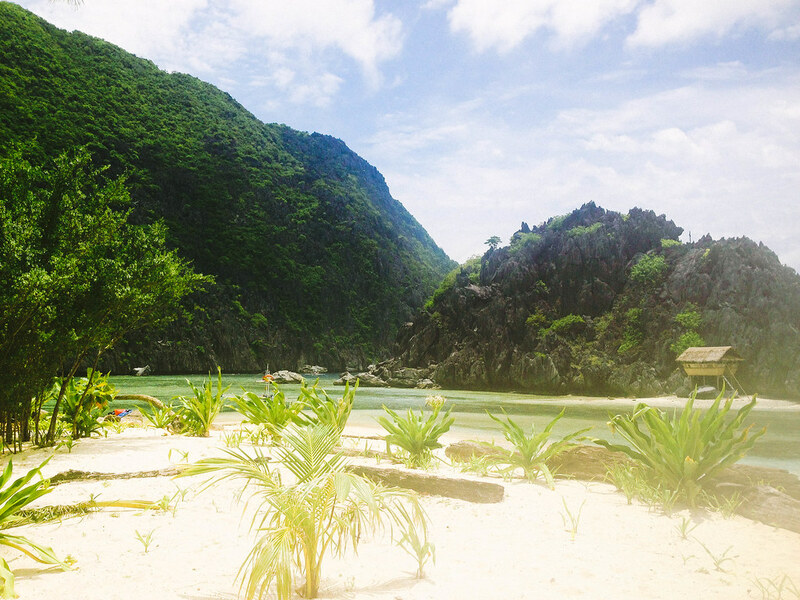 El Nido Diaries: How to get there? So I packed my bags and went on a solo trip for the first time in my own country. 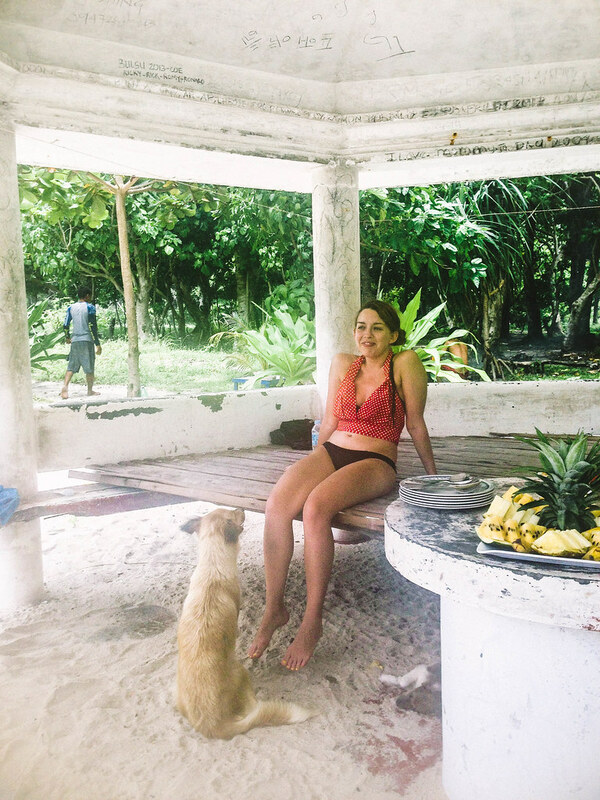 It wasn’t anything special but I was always scared to go out and explore the beautiful islands in the Philippines… and I guess it’s a bit awkward? I don’t know. All I know is that I needed a break so I booked a solo trip. Yay for me! 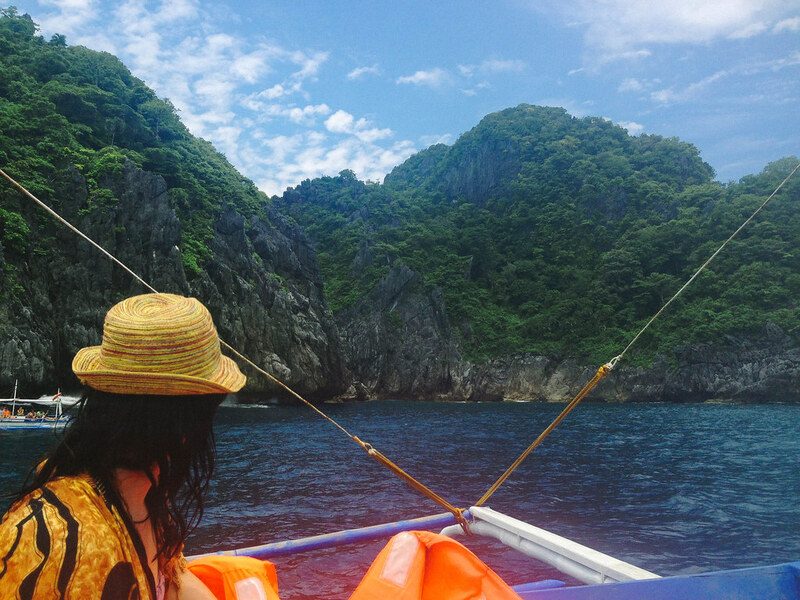 I went to El Nido this time and it was one of the greatest trip I’ve ever had so far. 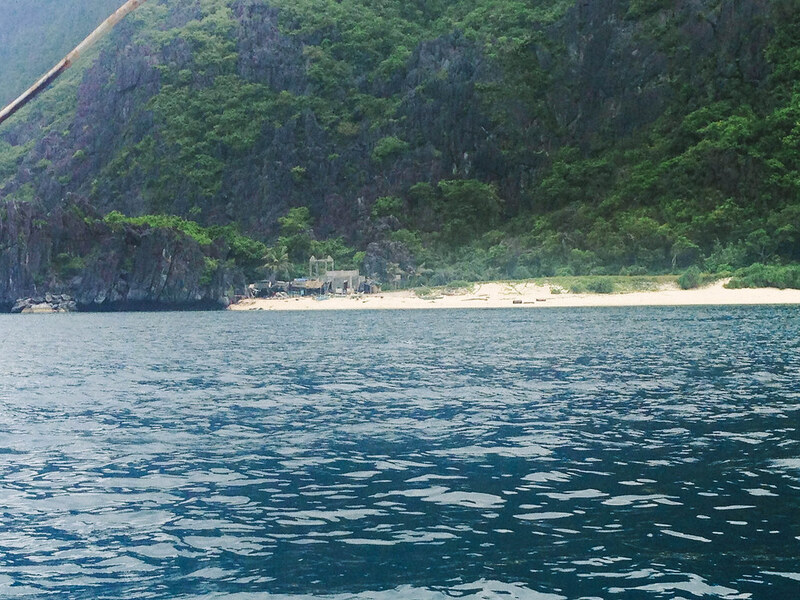 So how to actually go to El Nido? 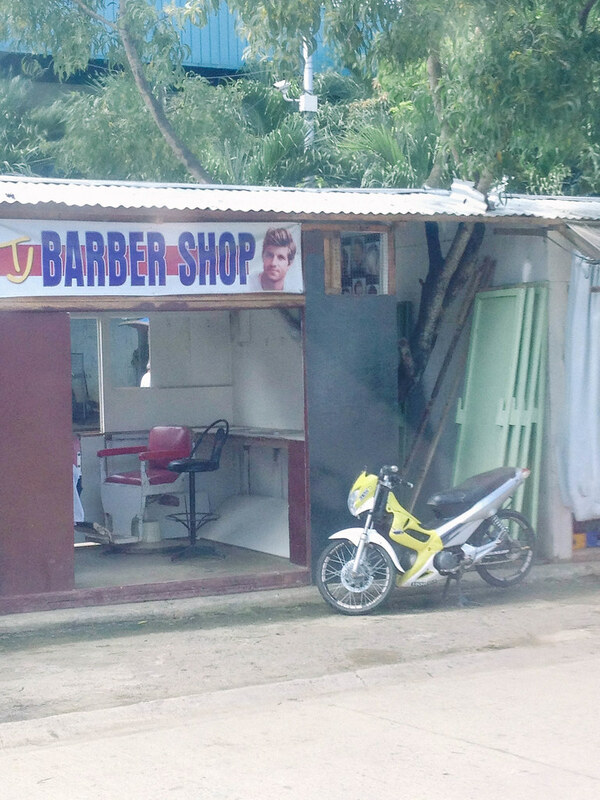 There is a direct flight to this little town in Southern Palawan. The route is served by Island Transvoyager. 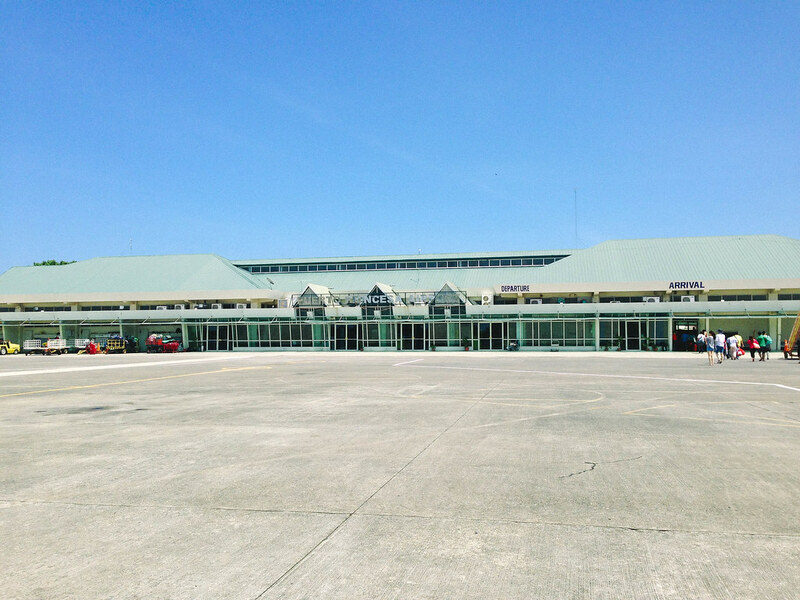 The LIO airport is so small though and it’s a bit of expensive. I’d love to fly in directly, but I don’t have the budget to. 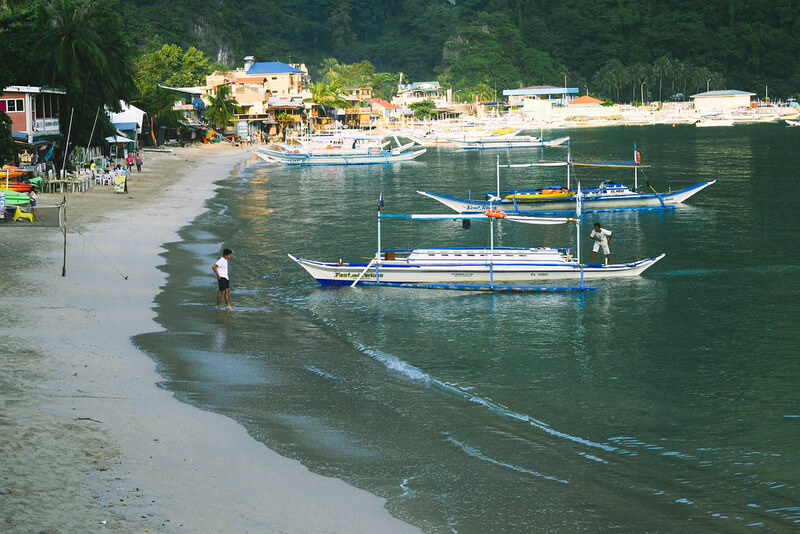 The other option is to fly to Puerto Princesa (PPS) and go on a six-hour roadtrip to El Nido. Now it isn’t the most comfortable, but it fits the bill. 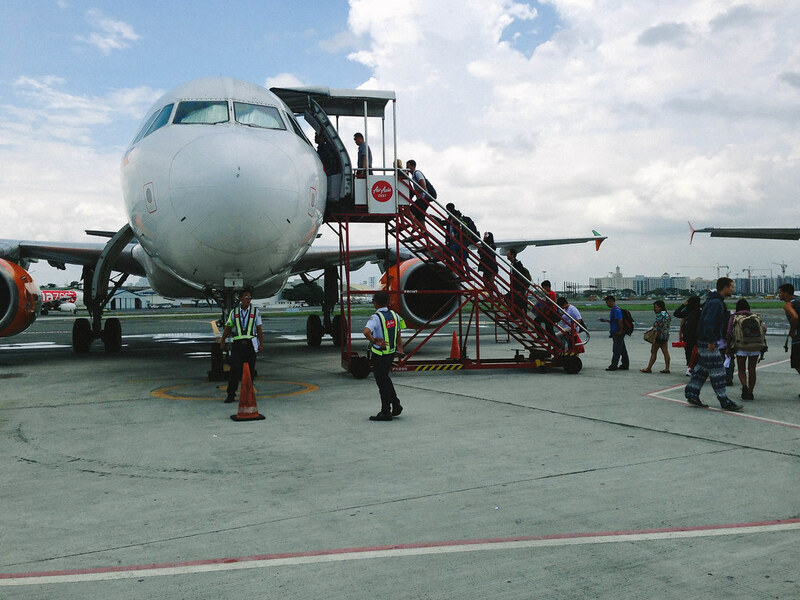 Last March, I booked this promo trip from Air Asia Zest and only costed me around PhP 2400 (est. US$ 55). It was for my birthday but I had lots of work to do so I booked way ahead instead. 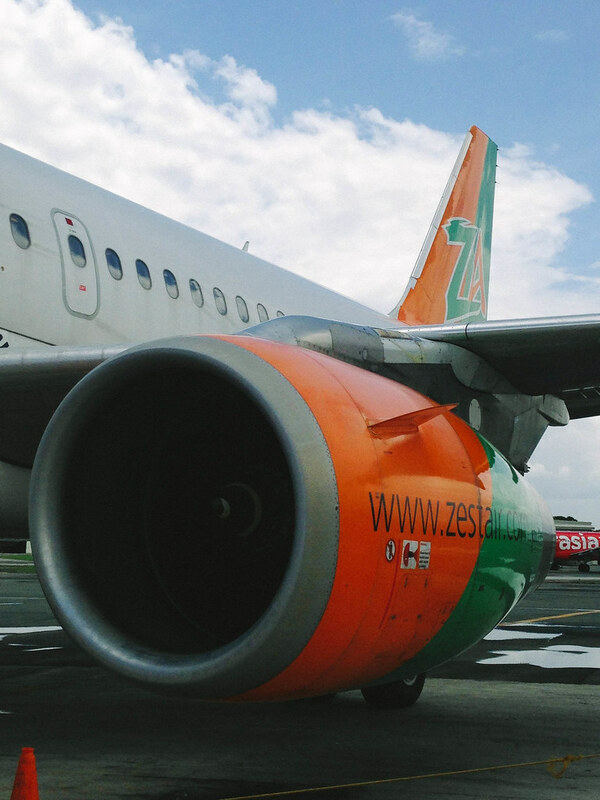 My first time to fly with Zest Air then was a bit rough, tbh. So I wasn’t so sure how’d they fare being bought by Air Asia. I guess it did them great — I don’t know why my ears are very sensitive to pressure but this time, I could even sleep! 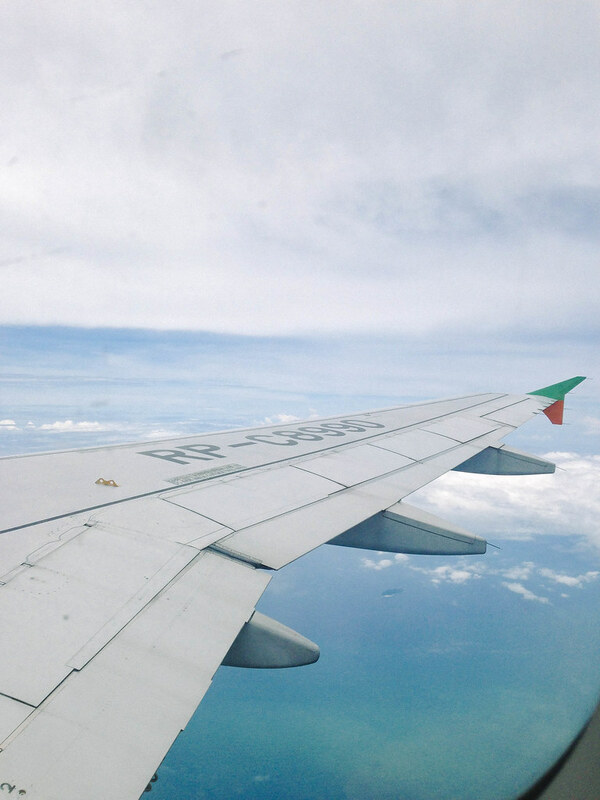 And by far, it was the smoothest landing I’ve ever experienced as well. 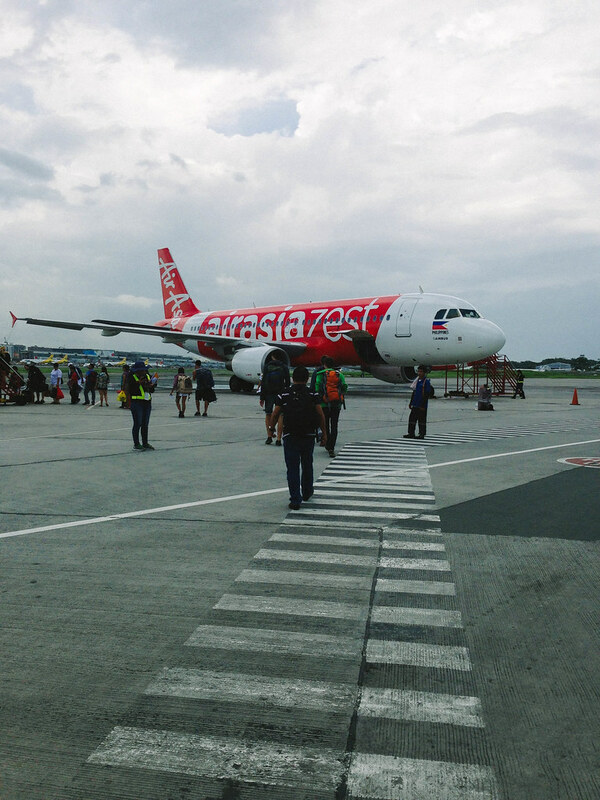 Brownie points for Air Asia indeed! 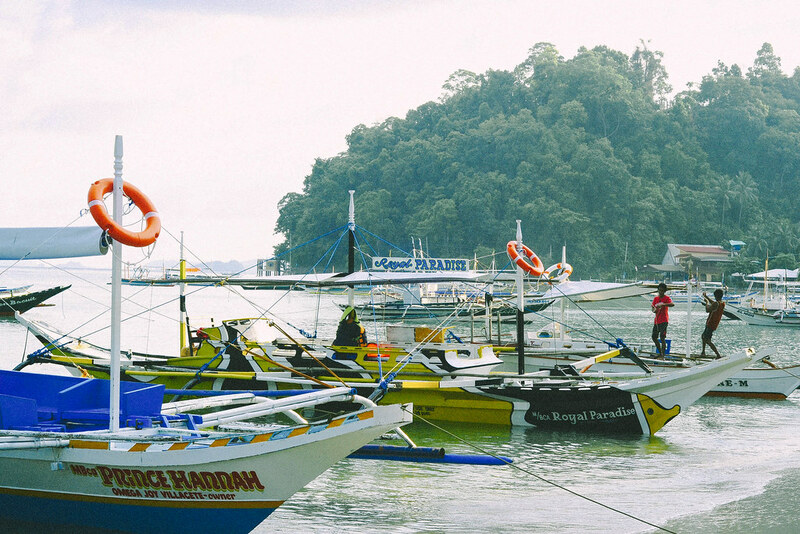 There a lot of options to get to El Nido from Puerto Princesa City. I was supposed to ride with Daytripper but their schedule didn’t match mine. Fortwally was kind enough to fetch me from the airport though… really appreciated it! 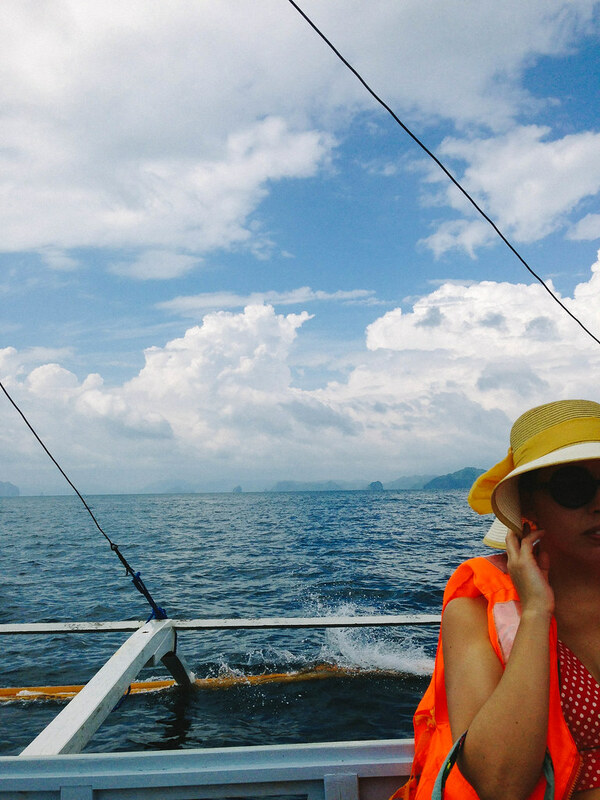 The fare from the city to El Nido is PhP 500 (est. US$12) one way and the trip is for six hours, with two pitstops. I was lucky since there are a few people who booked the van for the day and it was kind of comfortable but going back, it was so packed I couldn’t even stretch. So I think it’s best to ask them as well how many will be in the van. 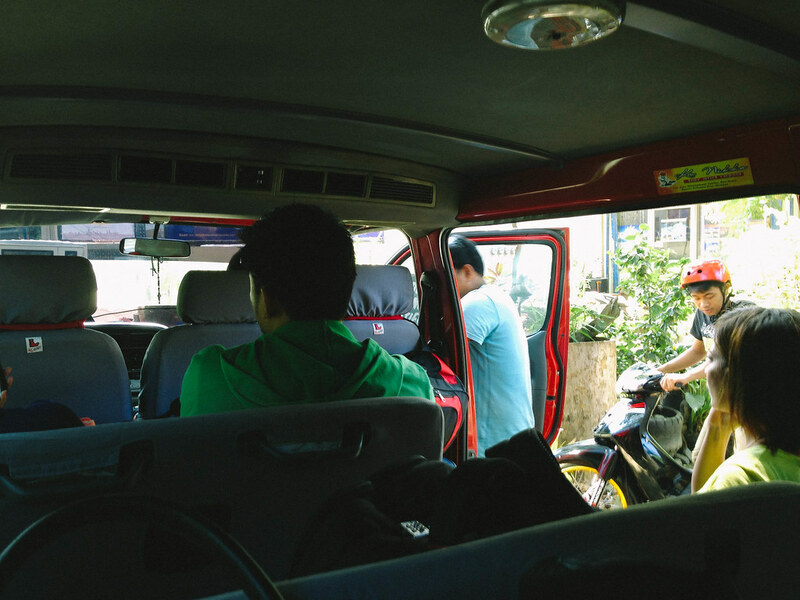 They also pick up random passengers along the road since the roads are not constantly serviced by public transportation. 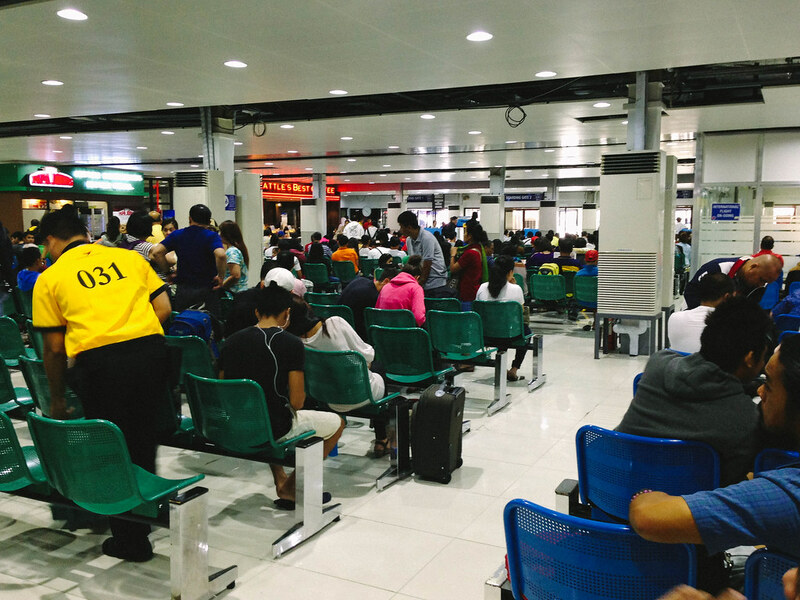 You may also take the bus as it saves you a few hundred bucks, but you have to go to the terminal which costs you PhP 150 from the airport. I think comfort-wise, I did a wise choice. What do you think? Here’s my itinerary with updated contact details for the hostels and van companies! I hope it helps you plot your trip if you are planning to go there! Remember that my name of the game for this trip is what the cheapest but most comfortable choice. The most important thing to remember I guess is that electricity goes off at 6am – 2pm. EVERY. DAY. So yeah, go charge those gadgets at night real good and bring powerbanks. This one’s a note to myself: leave the gadgets at the hostel and bring a waterproof camera instead. More on this in the coming posts. The least important thing to worry about is Malaria. It’s not prevalent in the area despite it being endemic in Palawan. It helps to bring a mosquito repellent though, to be safe. 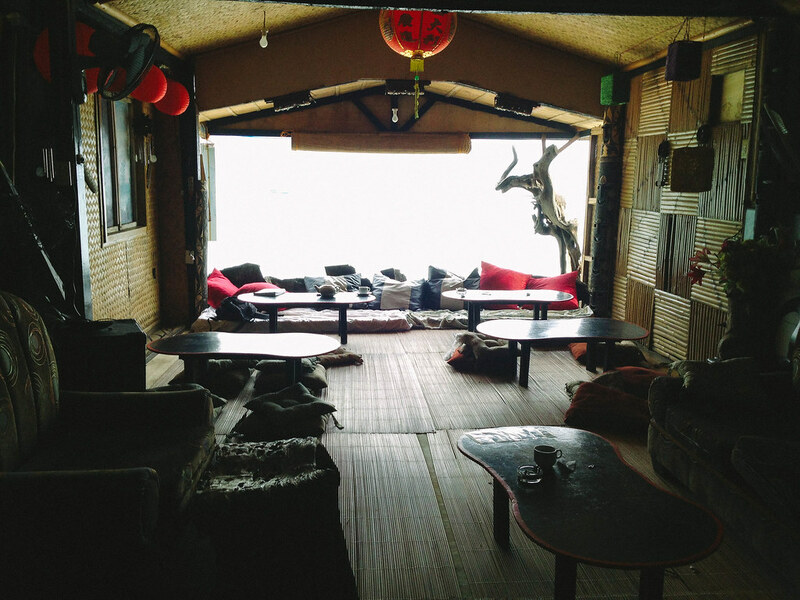 Most accommodations in El Nido doesn’t have a website. If it’s not peak season, it’s okay to go in blind and just find accommodation when you get there. 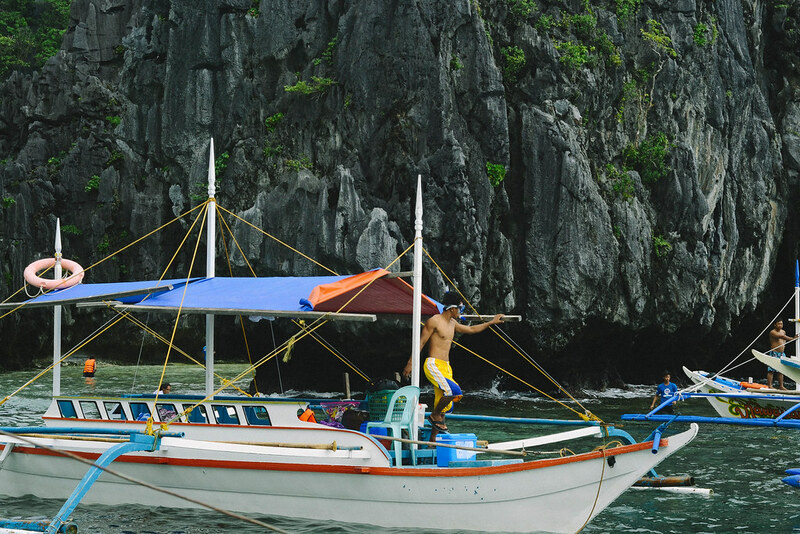 What to do in El Nido then? The most popular thing to do is to go see the lagoons, beaches and islands! There are a lot of diving resorts as well — night diving even offered! It’s so serene there so if you’d like to bring a book to read, that’s fine as well. Roaming around town is interesting as there are good establishments around. If you have the budget, go stay in an island resort and lavish in luxury. 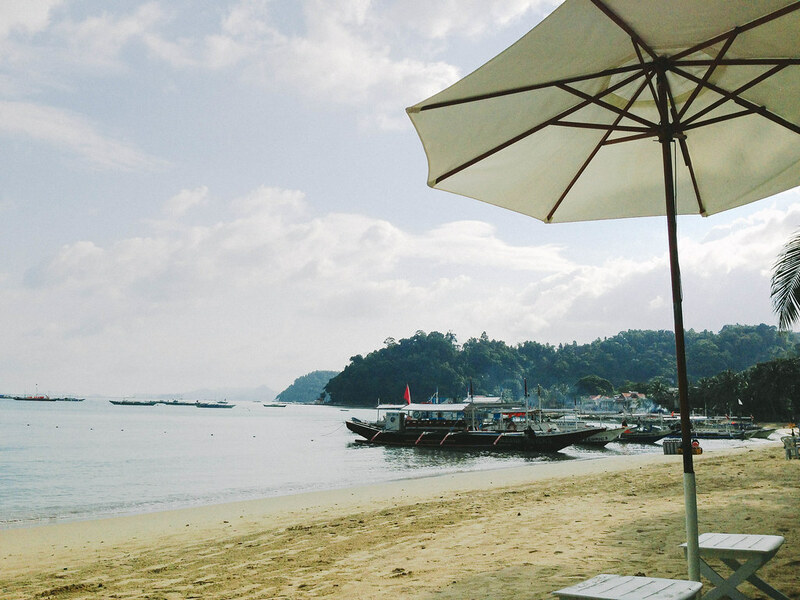 I heard the cheapest stay in El Nido Resorts (from the Ayala group) is PhP 12,000 (est. US$275) per night. Not bad for special occasions, I guess. Spot check on cellular signal: OH YES! 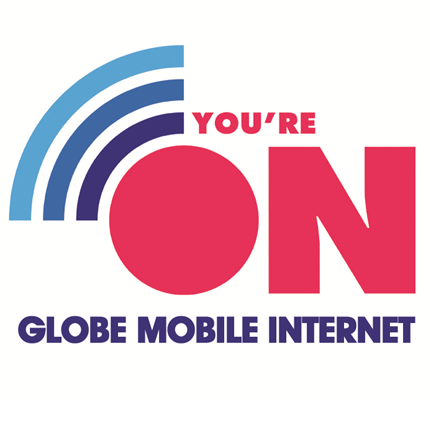 3G is well and alive with Globe! I was actually worried, since the place is somewhat remote and I was very happy that the signal was good! I’ve decided to make this log of wonderful people I meet along the way to help me remember them, and not get stuck in my phone notes. It’s fun meeting strangers/new friends while on a trip, isn’t it? 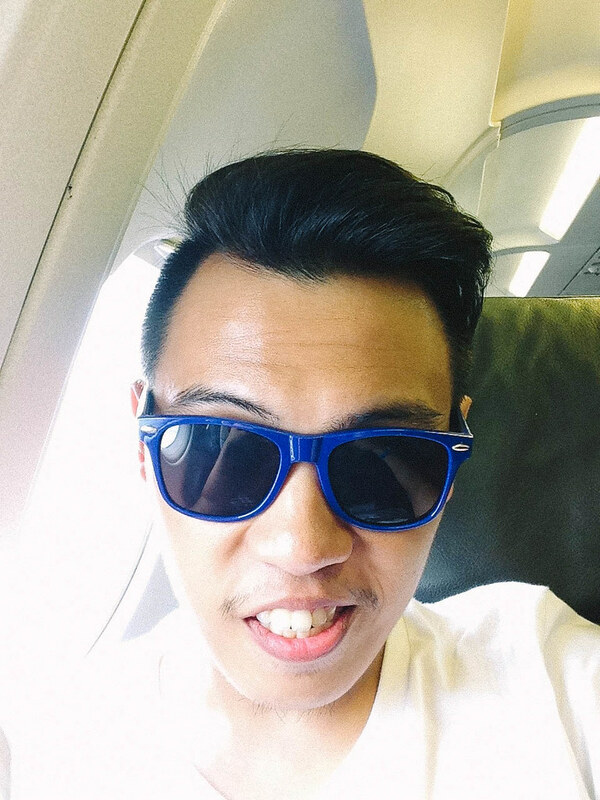 Kuya Nelson – he shared a socket that he was using in the airport and told me some things about Palawan having spent most of his childhood there. He was going to PPS to see some clients for his manufacturing business. 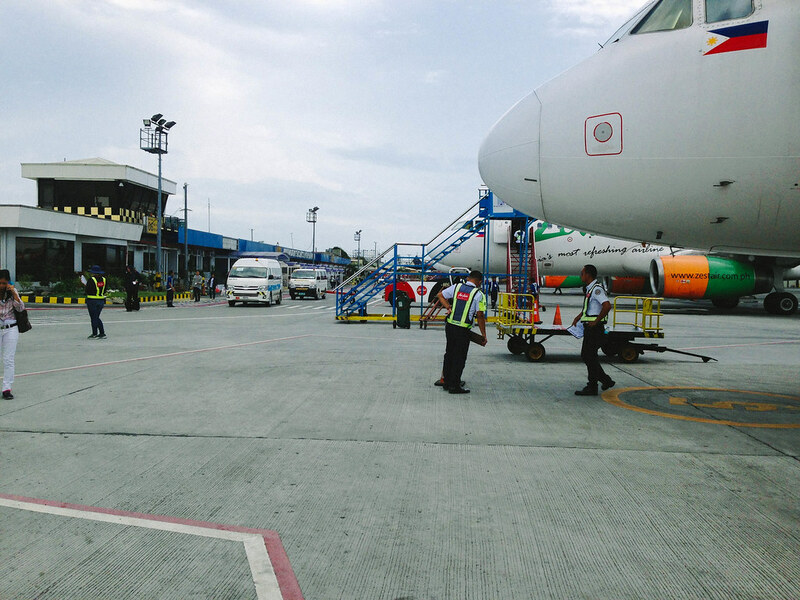 Ate Dindy – a lady from Jolo who I sat with at the plane to PPS who had her fare share of travel in life. I loved her stories and really enjoyed talking to her while flying. She was there for a conference of some sort. 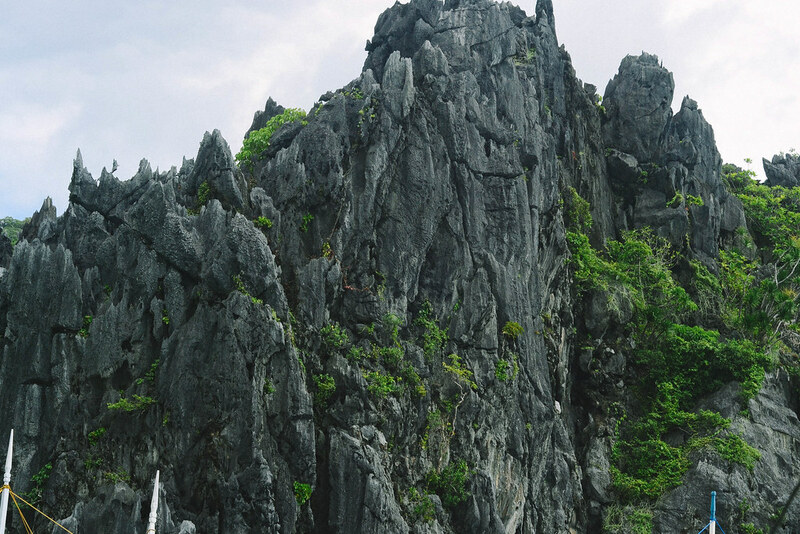 This is just first out of five posts in my El Nido series! I hope you stay tuned for more stories! I spent a short vacation in paradise and just got the chance to check back here to see if y’all are doing good. It was a good and well-needed break from work — after 7 months of not taking a leave and just working hard… I guess I deserve that break even if I really had a lot of misadventures along the way. For one, I broke Jyler the iPhone AND Chace, my camera. I put them in a waterproof bag only to know that the sea water has seeped in and cursed my babies into eternal sleep (Maleficent, whyyyyyyy). And that’s just the tip of the tropical iceberg because a lot has happened in my five-day vacay and I can’t wait to tell (and not show because I barely have pictures to show) you all about it. One thing I can’t leave out though is that even if it’s raining, the place is incredibly dreamy! I couldn’t even sulk that I don’t have anything to document it with because I’m busy being stunned day in and day out of the beauty it holds. I guess it just means I have to be back soon. Check back with ya in the next days! P.S. Something to look forward after this experience is a new segment. Stay tuned! P.S.S Thanks to my friend, Bea for helping me fix the website problem. Feels good to be back up!